The SEDLÁK & PARTNER International Consulting Group is the specialist for the Foresighted Self-Renewal of organizations. For over 30 years, we have been operating successfully in the fields of strategy, organization and HR development with corresponding consulting services. Our work is based on the Systemic Organizational Theory. We have the expertise to effectively support organizations in sharpening their strategic positioning and in coping with organizational changes. Additionally, SEDLÁK & PARTNER helps its clients to find qualified personnel for key functions and provides consultancy on HR development. . Through many years of experience in Asia, we have a deep understanding of Western and Eastern cultures and have the ability to bridge the gap between these intercultural differences. In addition to the deep insights in the Chinese education system, we are co-initiator of the program “Smart Education China“. Since the opening of our rep. office in Shanghai on May 1, 2011, which became the subsidiary “SEDLÁK & PARTNER International Consulting” in 2013, we continuously strengthened our presence in the growing market in China. Our international team is involved in diverse projects especially focusing on the initial and continuous training of Chinese teachers. In order to design consulting processes efficiently, we have developed the special competence of Blended Working in the last years. The ability to establish a link between face-to-face events and web-based settings in a smart way significantly shortens consultancy processes, while ensuring high-quality outcomes and reduced overall costs. Our headquarters is located in Ahrensburg, near Hamburg, with a representative office in Cape Town. In Asia, our work is organized through our branch office in Shanghai. The SEDLÁK & PARTNER consultants work according to the understanding: “One Business, One Team”. Our clients include medium-sized companies, particularly family-owned businesses, as well as renowned, listed international corporations. Since 1989, we have been a member of the BDU (Bund Deutscher Unternehmensberater) and thus meet the requirements of the International Council of Management Consulting Institutes (ICMCI). 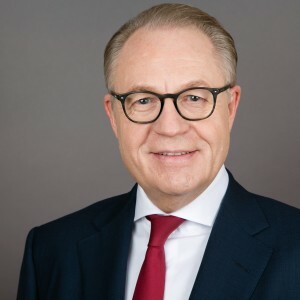 Guest Prof. Robert A. Sedlák is a Certified Management Consultant (CMC/BDU) and holds the position of CEO and Chairman at SEDLÁK & PARTNER International Consulting Group. His main consulting focus is organizational self-renewal and successful management of transitions in organizations. In 2013, Robert A. Sedlák has been appointed as guest professor at the East China Normal University (ECNU). Every semester, he holds a lecture in the field of “Newer System Theory and web-based Competence Development of Teachers” at the ECNU. Furthermore, he is a founding member and director of the “ECNU-S&P Research Center for ICT-Enabled Systemic Changes and Innovations“ in Shanghai. Mr. Boris Wesemann is head of the study regarding the expectations of western companies towards school and university graduates in China. 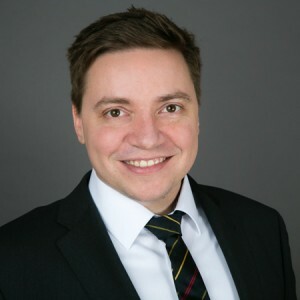 He holds a degree in Business and Human Resource Education and is Chief Consultant for Communication and Learning Platform at SEDLÁK & PARTNER International Consulting Group. His consulting focus areas include e-learning, HR development, and online platform design. In addition, as co-developer Boris Wesemann made a substantial contribution to the successful establishment of the PERFORMANCE SIMULATOR® – a web- and media-based training tool for targeted competence development and assessment. With the innovative technology of the PERFORMANCE SIMULATOR® necessary learning and change processes can be established in an efficient way. 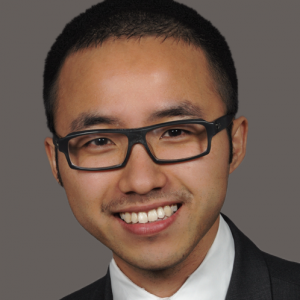 Mr. Yiqing Zhang is Consultant at the SEDLÁK & PARTNER Branch Office Shanghai. His main consulting areas are strategy development and implementation as well as market development in China. Since September 2011, he has been responsible for the coordination and the communication between ECNU and SEDLÁK & PARTNER International Consulting Group regarding the “ECNU-S&P Research Center for ICT-Enabled Systemic Changes and Innovations“. As project manager, he successfully organizes the yearly lectures for Guest Prof. Sedlák at the ECNU. Furthermore, he participated in the production of the PERFORMANCE SIMULATOR® Technology Changes Teaching – Organization and Management of IT-Supported Class.